Error Reporting - Stop It! If your application doesn't offer this option, you can still do it. Click on Start/All Programs, and go find the icon for the application you want. Right-click the Shortcut and select Properties. Click on the Shortcut tab. In the 'Start In' field, type the desired directory you want the program to use everytime you start the program. Choose your own combination of Hotkey to start a program. Something such as starting MS Word with the hot keys of Ctrl+2. Right click on the icon in the Start menu and click on Properties. Click inside the Shortcut Key field (where it will probably say 'None'. Press your combination of keys. In the example above, I would press Ctrl+2. That's it. Note: if it doesn't work, Windows won't tell you why but, you'll have to change the combination. Windows won't accept one you've already assigned or likely to be used elsewhere. To bypass the Welcome Screen and/or Lock Screen (after sleep) and just have the computer boot to your desktop, you can only have ONE user account and have the Guest Account turned off. If you have any other accounts that you did NOT create (like ASP.NET, then you can delete that account as well. It may have been put there from a previous Windows Update. Start, type Power Options in the search box and choose it. Start > Settings (or PC Settings) > Accounts > Sign In Options. Check in there for the options you need. 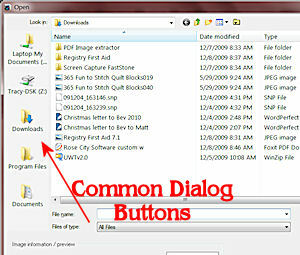 Now, to have sounds specific to WordPerfect (or another program), right click the Apps key, choose New, Key. Name the new key Wpwin (if you're using WordPerect). If you're using Word, then type WinWord. You get this name by looking in Explorer for the actual application and reading what the actual name of the program file is. In the right pane, right click on Default and choose Modify. 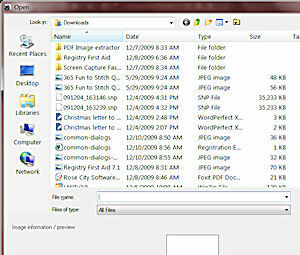 Type the application name (such as WordPerfect or Word). Click OK.
Click on the + by the folder .Default. This will give you some ideas as to what you might want to have sounds for that are specific to your application. Now right click on your new folder (Word, or WordPerfect), choose New, Key, and name it Open (for example) and press Enter. Repeat these steps for each event with which you'd like to associate a sound. Remember these will be program specific so you can duplicate any of the keys you saw in .Default, like Open, Minimize, Close, etc... and the sounds you will set will only be for that specific program. Close the Registry Editor when you're done. Now go set some sounds: Control Panel, Sounds and select your new event: WordPerfect. Select an event listed under there and go find a wave to use. Use Browse if you have to. Now, navigate your way to a place on your computer where you want to safely store your working version of the Regedit and type a name for the file, such as RegBack. Make sure that All is selected at the bottom of the dialog box under Export range. Now click on Save. Opt 1. Open an Explorer and find the directory you saved the RegBack file in. Double-click that file and choose Yes to import it. This will reset your Regedit to what it was before. View two Programs at Side by Side. How many times have you found that you are doing a lot of copying and pasting from one program to another. Actually I'm doing it right now. I am constantly copying between WordPerfect and Outlook Express. 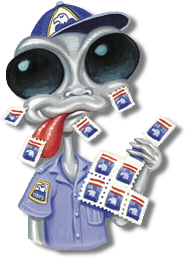 One way of working faster is to have any other programs minimized but WordPerfect and Outlook Express. Some versions of windows always give you the 'delete confirmation dialog' box, others do not. If you want and don't have it, right click on the recycle bin and put the check in the box for "Display delete confirmation dialog"
Highlight the item, then press Shift-F10. Yes, you CAN have them. Even if you don't have the newest version of Windows . If someone gives you a 3D screen saver, such as Euphoria from from their computer (because they have the newest version), you will need to make adjustments. Here's a trick that worked for me right from the git. Funny...but it worked for me right away. If that doesn't work, you'll have to download 2 files: GLU32.DLL and OPENGL32.DLL. and place them in the C:\Windows\System32 directory. In order to copy the files, you first have to "take ownership" of the files that are already in there. Take ownership then copy the files to a safe location. Then copy the downloaded .dll files into that folder. Right click on each of those and choose Properties. Then click on Change icon and choose different ones you want. Note: Hibernation is not available for all computers. To test if you have the availability, go to Control Panel, Power Options. If you have a Hibernate tab, then you have capability. Try it to see if you like it. It'll shut down your computer...sorta. When you turn it back on (by pressing the Power button as you normal would), it'll take less time to turn on, and all the programs you had open when you went to hibernation, will all be open just in the same state as when you went to hibernation. Use the above shortcut technique and give it a try. If you don't like it, then just delete the shortcut. Need to have multiple programs to start at the same time? I frequently use PaintShop Pro and Font Viewer at the same time. So...why start each program by clicking on the first icon, waiting for it to load, then clicking on the second. Say you want to always start WordPerfect and QuattroPro. You can open the both in just one click. start "" "C:\Program Files\Corel\WordPerfect Office X7\Programs\qpw17.exe" "T:\Sewing\_Selling\_Files\Sales Sheet.qpw"
start "" "C:\Program Files\Corel\WordPerfect Office X7\Programs\wpwin17.exe" "T:\Sewing\_Selling\_Files\_Sales Receipts.wpd"
This starts both programs and a specific file with each program. In the box for File Name, type in a short description, such as "wp-qp.bat"
You MUST have the " marks and MUST have the .bat inside the quote marks. Navigate your way to a safe folder such as C:\Users\Tracy. Click on Save. Find an appropriate icon you want to use and choose Ok twice to have your new icon showing. Double click on your icon and if it doesn't work, you'll know it. Go back to the windows explorer, right click on your .bat File (the one you created with a new name), then choose Edit. Make adjustments where you find errors. Ever find that you need that special character like those? Or maybe special foreign characters? Now find the character you want. You can change the font to see if the font you want to use is capable of doing that character. Click on the character you want. Then click on Select, then click on Copy. Now go to the program where you're typing and press ctrl+v and you're character will pop in there for you. Ok....you've had enough of the error reporting stuff. You know...every time a program shuts down and Windows wants to send the error report to Microsoft. Here's how you stop it from coming back over and over again. I the key isn't there, you'll have to create it. If you've lost your Interent Options button in Control Panel, then it's quite possible that you've been hacked. Here's how to get it back. If you see a sub folder listed there called restricted, or control panel, then delete those folders and choose YES. If you've installed any program that just happened to put an icon for Free AOL on your desktop, yes you can remove the icon. But...there's something else that the program probably changed...your Security Settings. Better check it!!! AOL is probably there...I'd remove it! Resize the window. You can't use the middle button in the upper right corner...you have to use the corners of the window to drag it to the size you want..
After you do, hold down the control key on your keyboard, and as you're holding it down, click on the X to close the window. Next time you open that program, it should be the same size as when you last closed it...and there after. To make your programs open full screen, right click on the shortcut to open a program. On the Shortcut tab, change the Run box from Normal to Maximized. For some programs, that may not work...and in those cases, open the program, resize the window manually by using the corners to drag the size bigger. Clicking on the middle button to maximize it won't keep the settings....use the corners to make it big. Then close the window and open it again. If you find that you can't View Source of a web page, then it's time to clear out your Temporary Internet Files in IE. Click on Tools, Internet Options, then click on the Delete Files button. I don't know about you, but when I use Search, it takes for ever. And it searches in places I don't even want it to. In a Windows Explorer, go to the folder where you installed AgentRansack. Right click AND HOLD...and as your holding, drag it to the right a little then release the click and choose Create Shortcut here. Now, click and hold on that shortcut you just created. As you're holding the click, drag (still holding the click) the mouse down to the Start Button (don't release yet)...the Start Menu will pop up. AS YOU'RE STILL HOLDING the click, move the mouse up to the top left section. NOW you can release the click and then choose Create Shortcut here. Now just rename it: Click on Start, right click on AgentRansack and choose Rename. Rename it to Search and click on OK. Your "Search" will be on you start menu as before...only in a different place now and a faster searching like before. By deleting all the files in there, your computer will speed back up. Just go to that folder, select all, and delete them. DON'T delete the folder...just all the files in there. Then reset your computer. The Prefetch files will be re-created automatically. Prefetch files are stored on your computer to assist windows in starting programs faster. But, if there are a lot of unnecessary files in there, it's just a waste of time and space for XP to look at. Many recommend deleting all those files once a month or so. If you click on the folder called System Volume Information, you'll get a notice that you can't view it. Well, you CAN, if you want. I have a 2nd hard drive and don't even use the System Restore (because I use a program called RollBack instead). I have no need to even HAVE that folder. You can view what's inside, if you'd like though. The folder is used by the System Restore Tool to store information and restore points. You can now see what's inside and even delete the folder from your 2nd drive if you choose. If you find that when you're computer is having troubles, and the computer just restarts on it's own...it might be driving you crazy. What if you haven't saved something and the computer has troubles. It may just reset on it's own. Don't let it. Give yourSELF control over the reset. I've found 2 places in my registry that reference unchecked items that are still listed in MSConfig. I really don't care to see them in my list. So, I've taken the pleasure of removing them. And deleted all the offending folders on the left side that I'm SURE I didn't want to have in there. Unsure? Don't remove it. There are a LOT of choices when you right click and choose New. Such as: BMP Image, Journal, Rich Text Document..and a boat load more. No installation is required....And it WORKS too !! Replace battery, plug in power cord, turn on computer. Ever tried to copy text from a web page to paste it into an email address before (or most any program except NotePad). All the formatting seems to come with it. If you want to only copy the actual text, a great little program was passing on to me that is JUST GREAT. Normally if you want to copy the text just for the words, you'd have to paste it into NotePad, then copy and paste it into whatever program you're working on (be it email, WordPerfect, MS Word, etc). with this little gem, you copy the text from the page, click on the PerfectText icon in the systray, then just paste it into whatever program you're using. Here's the site where you can get it. Thanks CG for your WONDERFUL tip! After you create the key, right click in a blank area and choose New, String and call it Place0. You can have 5 strings in there: Place0, Place1, Place2, Place3, and Place4. 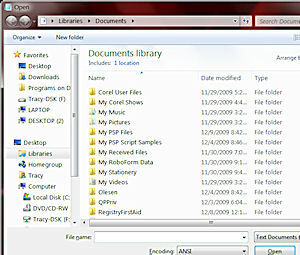 To add a path to a specific folder, such as C:\Graphics\CD\Landscapes, double click on the Place# you want. This key (the PlacesBar key) can be exported as a registry entry and imported when you have to reformat the computer or want to repeat the dialogs on another computer. Changes will take affect right away...no need to reset the computer to see the changes. 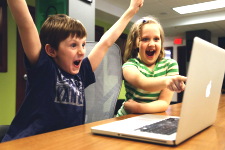 You install a program, and next thing you know, when you double click on a .jpg image file to see what it looks like, you find that the new program opens instead of the Windows Picture And Fax Viewer. You can change it back to using Windows Picture And Fax Viewer from a program that you installed that took over. Go to a folder where you have a .jpg image. In the resulting dialog box, "Windows Picture and Fax Viewer" should already be listed. Click on it. If it's not shown, click on "Choose Default Program" or "Choose Another App" Check the box labeled "Always use the selected program to open this kind of file" or "Always use this app". Click on the File Types tab. Scroll down to the extension for "JPG". Press the Restore button, if it exists. Click on the Open in the list of actions. Where "C:\WINDOWS" is the directory containing your Windows installation. Now when you double click on a .jpg image, the Windows Viewer will preview it for you instead of another program. Click on File, Export, Give it the name of OpenAS, and save it in your My Documents folder (in case it doesn't work). The Open With > will be restored with a list of programs right there in the explorer. If it didn't work, double click on that file in your My Documents folder called OpenAs and it will put it back in the registry. Then delete the OpenAs file. Always changing the Properties of your printer depending on what your printing this time? Set your computer so that when you choose your printer, you are actually choosing the printer according to the Properties of the printer (draft mode, normal mode, etc). You're actually using the same printer, only the printer choices in your Print dialog box are listed according to the TYPE of printing your doing. Example: you always print brochures in Normal print, and you always print photo's in Best print. Have the top dot checked (assuming that the printer IS physically connected to the the computer and not the network. Now give your printer a name that will reference your settings. Example: I have 3 printers listed for the same printer. One is 932C-Draft Print, one is 932C-Normal Print and the last one is called 932-C Placemats. Each of these printers has different settings. One is always for draft printing, one is for normal printing, and the 3rd is set for landscape, draft printing. Put the dot in the circle of your choice if you want to it to the default printer. Now set your preferences as desired for the new printer. Now when you print, you can choose your printer according to your settings of your printer. In IE, click on Tools, Options. Here you can click on Clear Forms and Clear Passwords and put the check back in the box for Prompt me to save passwords. You can trim down your list, but you have to go to Regedit first. Use the File, Export option to backup the registry entry (in case you need to put it back in). If you need to put it back, then double click on the exported registry entry and it will fill back in like it was. Double click on DisableThumbnailCache and change the value to 1. On the right side, double-click on Maximum number of recent documents. Press the number 0 upon restarting the computer and you'll find your way. You may need to click on Advanced to get to the destructive restoration that will complete turn back your computer. A file is needed to open programs that use the old style Help menu. On the one window you want to keep up, grab the title bar and give it a shake back and forth a few times. Note: Going to All Settings does NOT have the box you need. Click on "Make the mouse easier to use"
Scroll down and put the check in the box for "Activate a window by hovering...."
Only if you're comfortable in the registry. Log off, then sign in again. These procedures cannot be done on the Favorites listed on the left side, but any other folder can be shared by using explorer and navigating to the folders directly. Navigate to the C:/Users/NAME folder. Right click on the folder you want to share and choose Share With > Specific People. Click on Edit, then click on Add. Click on OK to close all dialog boxes. If, on the XP Computer, when trying to access the Win7 computer the first time and you get the dialog box, in the dialog box, put in your user name that you have on the Win7 computer, and password (if you have a password, if not, leave blank). Your IP address is listed in there. where 'System Volume Information' will be the folder you want the access to and use the " marks. To restore the permission, type the same link only use R instead of G.
Some programs need to be manually put in the startup folder, yet the startup folder is missing in Windows, sort of. It's there, you just have to dig to get to it. Continue only if you're comfortable going into the registry. Put a check in box for Full Control for all users listed. Right click on they key again and choose Delete. Restart your computer and the zip files on the left should disappear. Right click on the new shortcut and choose Properties. Change the icon and change it to run Minimized so the command dialog box won’t show up. To remove this ability, just open the Task Schedule and remove the task, then delete the shortcut. To force the computer to see the Boot From CD option (with your disk in the drive), press F12 upon resetting the computer. It will bring you directly to the option to boot from a cd. Press and hold the ESC key. Turn on the computer until you see the boot options and make your choice. This is how to restore a computer to what it was when it was first turned on (out of the factory), AND if you still have the hidden partition where the installation files are stored for your computer. Press F11 upon a reset. It will take you directly to the Restoration options. This will do a diagnostic on your hard drive and search and fix any errors (bad sectors) it finds. Delete the corrupted profile and confirm that all files and settings are to be removed. Log into the new profile and rename the profile to what the old profile was before. On the right side, click on 'Select which icons appear ont he taskbar'. By selecting 'Off' it moves them from the always showing to the popup area. If the computer will just not boot into windows, on the 3rd attempt Windows 10 will display the Choose An Option dialog box where you click on Trouble Shoot. Then continue as in Option 2 above. 1) You first have to hold the Shift key down and then click on Restart. 2) Press and hold the F2 button, THEN turn on the computer. Microsoft is aware of the issue and working on a fix. Until then, you can do a manual tweak to trick it into thinking there's no problem. Here's how to do it now. Again....BEFORE you install anything, change location of your personal folders. If your Start Menu / Taskbar / Notification area quit working, a recent Windows Update caused the problem. Expand the Network adapter list and uninstall all your WiFi adapters (right click and hit uninstall). Click on Actions > Scan for hardware changes. Once the scanning process is done, your network adapters will be installed again. Double click Prevent the usage of OneDrive for file storage. Select Enabled, then click OK.
On the AutoSave tab, set the Documents and Pictures lists to This PC only, and uncheck the other boxes. In the Sync your OneDrive files to this PC box, Cick on Sync All Files, then click again to remove all the check marks. Click OK to close the box and return to settings. Computer Make, Model, Memory, and SOOOO much more information can be found with just a click and typing a few letters. Create a new profile and copy all the files you want. Right click on a blank area of the taskbar and choose Properties. Change the Power Button Action to have it set for Restart. If you have Classic Shell installed, right click on the start button, choose Settings. Click on the Main Menu tab then scroll down to the bottom under Shutdown Command. Choose your option from there. That's it. No restart needed. Settings > Devices > Touchpad (on the left side). Uncheck the top 3 boxes in the section for 'Taps', then uncheck the box for "Scroll and Zoom"
Right Click button of the touchpad stopped working? No problem, you can get it back. If you want to use an external drive, Just go to Control Panel / File History, click on Select Drive and choose the external drive you just plugged in. Then Turn On the backup and continue below with the direction at "Now you need to trim down...."
Then click on the Sharing tab. When you're done, click on the Backup Now button at the top. To view the log of any problems, go to Control Panel / File History / Advanced Settings. At the bottom is the link to view the event log for the backup. You MAY find a folder gets put in there called $OF and have many folders & files in them. This is most likely due to the length of the file path and name. LEAVE THE $OF folders & file alone. If you need to restore a file the system MAY have to look there to find it. This problem happens when Windows does an update to HP computers (and maybe other computer makers as well). In the section for Notifications make sure that "Get notifications from apps and other senders" is turn on. You can turn off all of the items listed below that such as Audio, Print Notification, or others listed if you want. 1) Do NOT put your video's on an SSD. Ensure that Hibernation is turned off in all areas. Right click on C:\ | Properties | Uncheck "Allow files on this drive to have contents indexed..."
In the Browsing History section, click on Settings | Move Folder and choose a folder on your HDD.